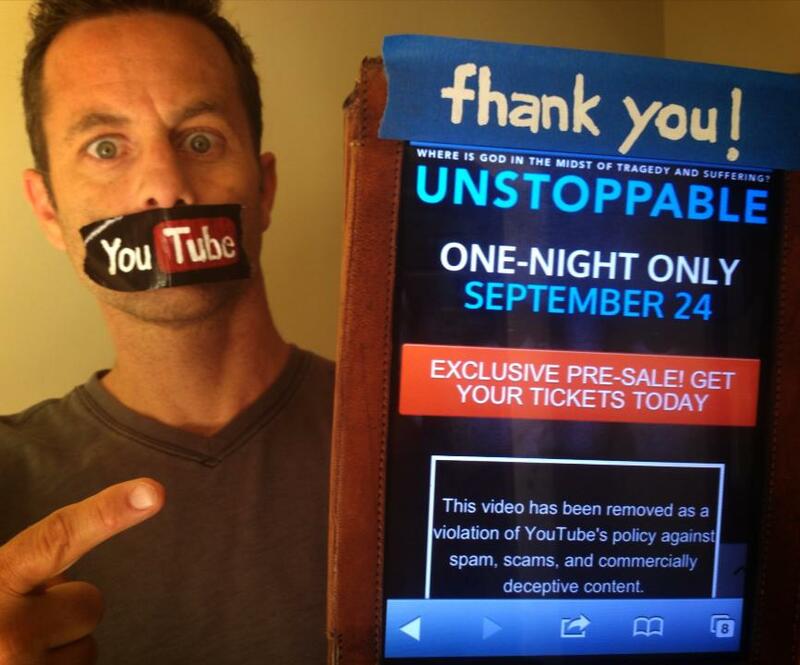 The trailer for Kirk Cameron’s new documentary Unstoppable is now back online after being banned this week by Facebook and YouTube. Cameron, known for his role as the young Mike Seaver of the 80’s sitcom Growing Pains, and most recently as the co-host of the Way of the Master evangelism training videos, alerted followers of the matter this week when he found his trailer being flagged as spam. Cameron says that the project is his “most personal” film to date, and is a reflection of his journey to “be honest and examine [his] questions and [his] doubts.” He outlines in the film trailer that the “meat grinder” experience made his faith in God stronger than ever. 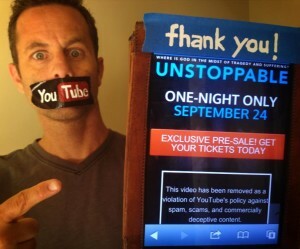 He then asked followers to share his status on their pages in an effort to urge Facebook to unblock the site. By the end of the day, Cameron announced–with the inclusion of a beaming photo–that the outpouring of support had again resulted in the trailer being restored. As of press time, Cameron’s status had received over 76,000 likes and 19,000 shares.